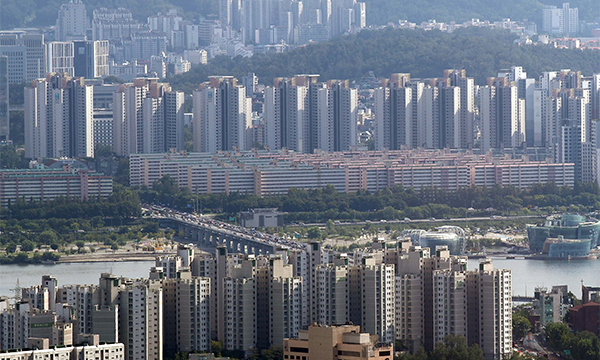 The South Korean government will inject 175 trillion won ($156.7 billion) over the next five years to ease the imbalance in development between the capital and the rest of the country by shelling out more funds to local governments. The Ministry of Trade, Industry and Energy and the Presidential Committee for Balanced National Development received legislative approval for their latest five-year plan for balanced regional growth on Tuesday. The central government would contribute 113 trillion won and the regional governments 42 trillion won for the new budget, which is up more than 10 trillion won from the previous round. A majority of taxes collected by the central government including valued-added tax would now fall under the jurisdiction of local governments. State projects worth a combined 3.5 trillion won would also be transferred to regional municipalities by next year. As a pilot test, the government will let regions design their own development plans and provide comprehensive funding for the projects. After a year-long study, it expects to officially roll out and expand the program from 2020. In the first half of 2019, it plans to come up with a composite index that takes into account various factors regarding regional development and quality of life, which would be referenced for a more tailored approach to assistance. About 51 trillion won would be poured into sectors such as education, culture, welfare and health care over the next five years. The government plans to build 450 public day care centers a year and set up 300 new cultural facilities like museums and libraries. It would also raise the percentage of local new hires in public institutions to 30 percent by 2022, up from 14.2 percent in 2018. Another 66 trillion won would be earmarked to help revive small cities and agricultural and fishing villages grappling with severe population decline.